The University of Canberra is proudly the university of the nation’s capital. We aim to be recognised as one of Australia’s most innovative tertiary institutions; world-ranked, with regional, national and international reach by 2018. The University of Canberra offers more than 200 undergraduate, postgraduate and research degrees spanning across 28 broad areas of study. Our tailored programs give our more than 16,000 students valuable experience in the workplace before they graduate. In addition to internships off-campus, the University also has its own working health clinic where students can give supervised treatment to real patients. The University of Canberra is ranked in the top five per cent of universities in the world based on the QS World University Rankings 2014-2015 and our graduates are among the most sought after in the country. The University’s research culture is based upon a dynamic, innovative and collaborative environment, producing high-quality and high-impact work that makes an early and significant difference to the world around us. Developing a strong research focus and strategic national and international partnerships, as well as commercial opportunities will underpin the achievement of excellence and impact in our research. While the University of Canberra carries out valuable research across a variety of fields, we take particular pride in our flagship projects in governance, environment, communication, education and health. These areas of focus are supported within four University research institutes and several faculty-based research centres. University of Canberra has 15 data records in Research Data Australia, which cover 43 subjects areas including ARTIFICIAL INTELLIGENCE AND IMAGE PROCESSING, Computer Vision and INFORMATION AND COMPUTING SCIENCES and involve 0 group(s). All of the information provided by University of Canberra can be accessed from the box on the right hand side of this page.  The University of Canberra showcases available research data on behalf of researchers in Research Data Australia and research publications in the institutional Research Repository.